As South Texans look for cool freshwater relief to beat the heat, thousands travel to South Padre Island to enjoy the massive Schlitterbahn water park complex. Open since 2001, Schlitterbahn operates its summer-seasonal outdoor park with churning wave pools, water slides with varying thrill levels and calmer waters more suited for a relaxing tube float. In 2012, Schlitterbahn opened its year-round indoor water park and resort hotel. But elsewhere in the Rio Grande Valley, commercial water parks of any size are nonexistent. Edinburg made an ill-fated attempt 20 years ago with a public-private venture to construct SuperSplash, a water park boasting wave pools, chute rides and other features. 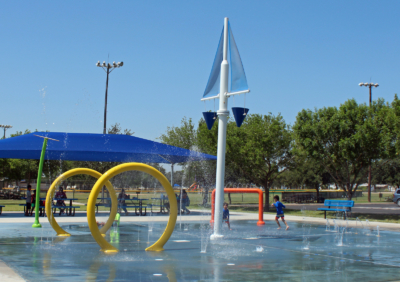 The sale of $21.3 million in bonds by the Edinburg Economic Development Corporation financed the construction and initial operation of the park. SuperSplash opened for the summer season in 1998 with great fanfare, but quickly belly-flopped when the crowds failed to materialize. The park lost $1.7 million in its first three months, according to news reports at the time. The following year, International Theme Park Services was retained to assess the losses and took over management of the park. But business did not improve and when revenues were insufficient to cover the bond payments, the pools were drained and the gates closed. International Theme Park Services President Dennis Speigel blamed bad weather and highly inflated projections of visitors from Mexico as two major factors in the failure. After being shuttered for a year, SuperSplash re-opened in the summer of 2002 under the management of Team Pro Parks Inc., and there were reports the company would purchase the property. The sale did not materialize and the park closed for the last time. Whenever a void in the marketplace is matched by growing demand, private enterprise typically steps in to bridge the gap, hoping to turn an opportunity into a profitable venture. However, as Edinburg learned the hard way, water parks are expensive to construct and maintain, and flaws in the business plan projections can be fatal. Now, with more and more Valley residents clamoring for water attractions, local governments are virtually the only enterprises addressing the demand, and they are doing so at a rather rapid clip. Public swimming pools abound through the Valley, but local parks departments have latched onto a newer and less expensive trend – splash pads. 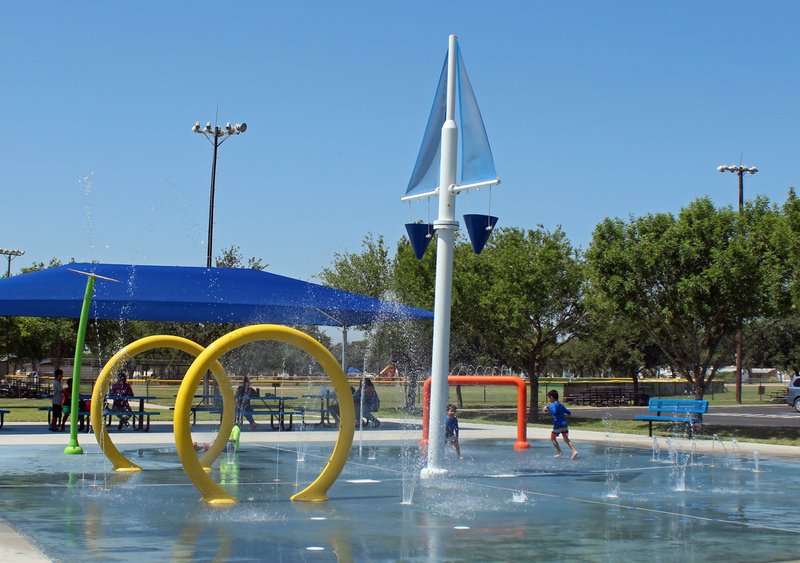 In the very city where SuperSplash dried up, the Edinburg Parks and Recreation Department has two water slides at a municipal pool and a splash pad in Freddy Gonzalez Memorial Park, with more in the planning stages. The Freddy Gonzalez splash pad features a dozen or so different ways to enjoy sparkling water streaming from jets, cascading off a mushroom-shaped canopy and a device that dumps buckets full of water on excited youngsters. The water features draw steady crowds and have been well received by parents, Villarreal said. All around the Valley splash pads have been popping up in cities large and small. On any given hot summer day, the public splash pads attract a constant influx of users. Youngsters run about dodging buckets of water or charging into a wet stream spraying from jets or soaking up the soft coolness of misting moisture. 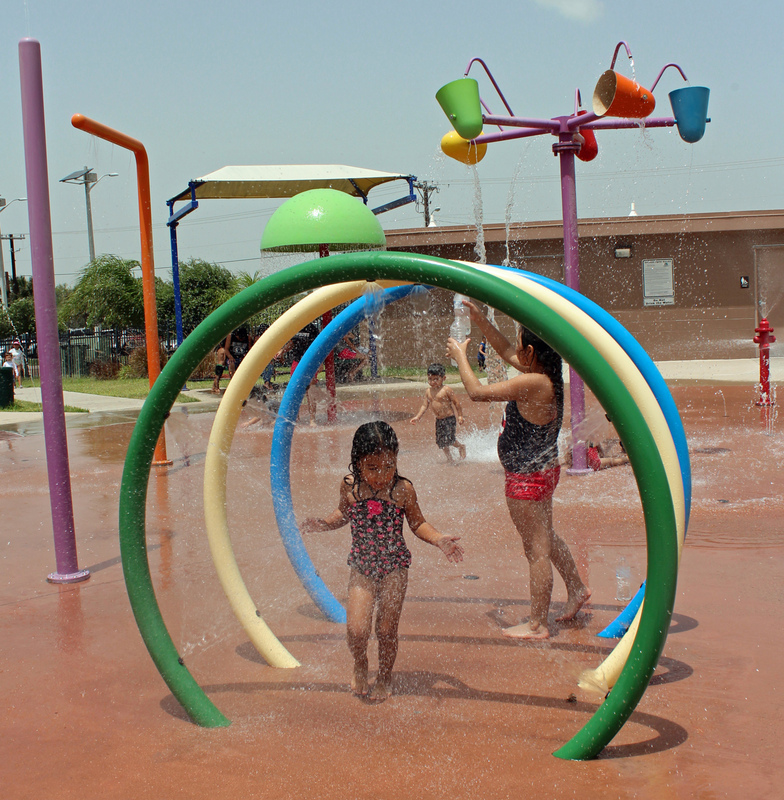 McAllen, Harlingen and Brownsville all have splash pads, and they are being incorporated into parks in small cities like Sullivan City and Penitas. 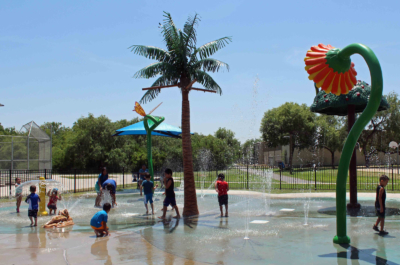 The Valley’s newest splash pad opened in Weslaco this summer and San Benito plans to include one as it develops a new park. 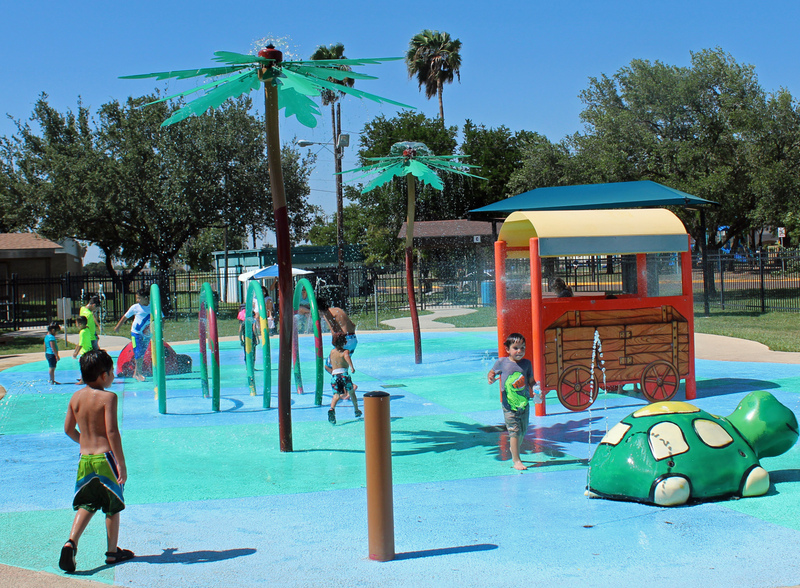 The Cameron County Parks Department has also gotten in the game, with splash pads in county-run facilities in Laureles and El Ranchito, as well as its newest and largest splash pad in the Pedro “Pete” Benavidez park in the Southmost area of Brownsville. “There are people calling on a constant basis for information about splash pads,” said Omar Perera, administrative assistant to Cameron County Parks Director Joe E. Vega. Depending on their size, splash pads can cost anywhere from about $300,000 to around $1 million. Public funds combined with state or private foundation grants typically provide the dollars. The new 2,000-square-foot Weslaco splash pad in Issac D. Rodriguez Park cost about $500,000, which included a $200,000 grant awarded the city by Knapp Community Care Foundation. 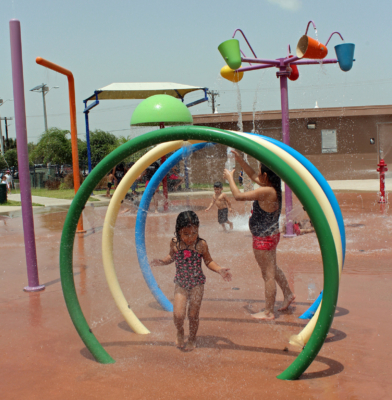 In Hidalgo County’s Sullivan City, with fewer than 5,000 residents, a splash pad opened this summer funded by an Urban County Program grant of almost $400,000. Residents in San Benito have been clamoring for some type of water attraction since the city closed its municipal pool in 2009 due to plumbing problems and a cracked floor. Now, as city leaders plan a 12.5-acre park, it was announced in April that a splash pad would be included in the multiuse facility. Improvements to public parks and construction of new ones has taken a higher priority with many cities as officials seek ways to improve and expand municipal amenities. Not only is that generally seen as a good thing for residents, but also as a factor in quality of life ratings used to choose a place to live, or by corporations looking for a good community in which to locate.